So you're gearing up for a killer exercise session, or a big event like a marathon or a triathlon, and you want to avoid all the carbo-loading thats so prevalent amongst endurance athletes. You're interested in fueling your body for the combination of ideal health and performance, and you're ready for weight loss, longevity, health, and breaking your sugar addiction. But is that even possible? Can you really escape the pasta binges and gastrointestinal distress that often accompanies an over-reliance on sugar? Can you really be a low-carb endurance athlete? Maybe you know its possible, but did you also know that there are certain supplements no low carb athlete should be training without? You're probably worried that you'll need to shell out big bucks for obscure supplements, right? Pine pollen? Ant protein? Thankfully, you just need some tried and true favorites that have proved the test of time. The number one supplement for low-carb athletes? Its likely to be sitting on your kitchen table right now. And there's another one that 70% of the population is deficient in…don't let that be you, especially when deficiency can lead to fatigue and muscle cramps. As an Ironman triathlete who eats low-carb, author Ben Greenfield walks his talk. Hes developed a detailed system that will put you nutritionally ahead of 99% of your competitors. From training days, to race week, to the day of the race itself, you'll learn exactly what you need to be eating and when for best performance and best health. 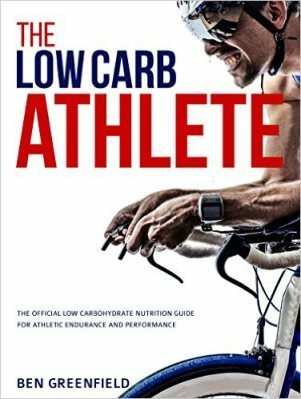 The Low-Carb Athlete is the go-to resource for low carb athletes and those wishing to switch up their diet protocol from the old school carb-based diets of yesterday.